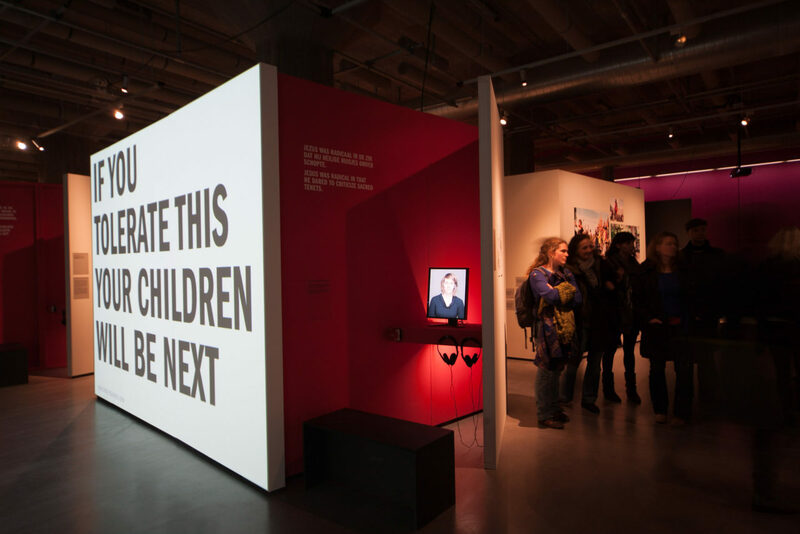 Radicalisation has been a hot topic since 9/11 and radicalism is regarded as negative by definition. But born out of idealism, isn’t it often also a force for social change? 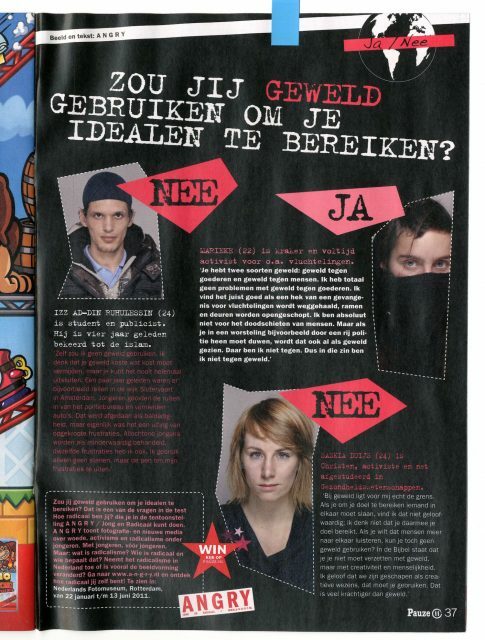 Who is radical and who decides? Has there really been an increase in radical behaviour among young people in our current society or is it ‘only’ a matter of distorted representation? The multimedia project ANGRY was presented as an exhibition, website, educational modules and the debate The Day of Anger. 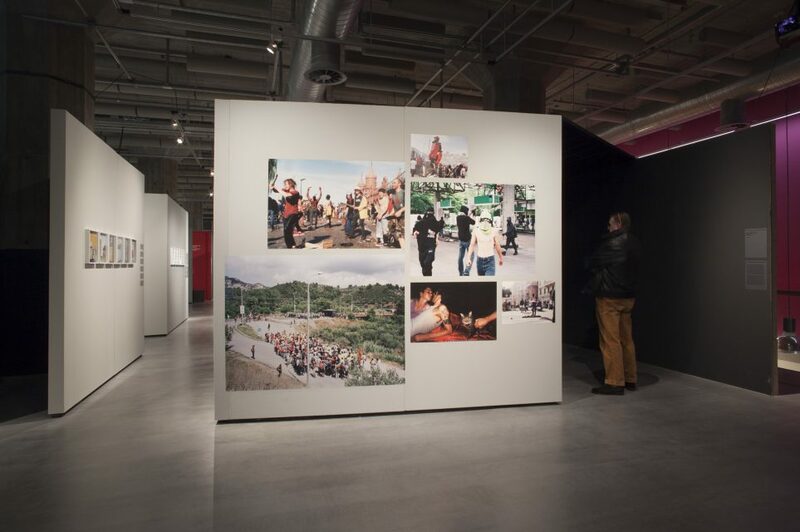 The work of 31 international artists is juxtaposed with statements made in the media by governments, politicians, journalists, scientists, and activists over the past 50 years (1960 – 2010). 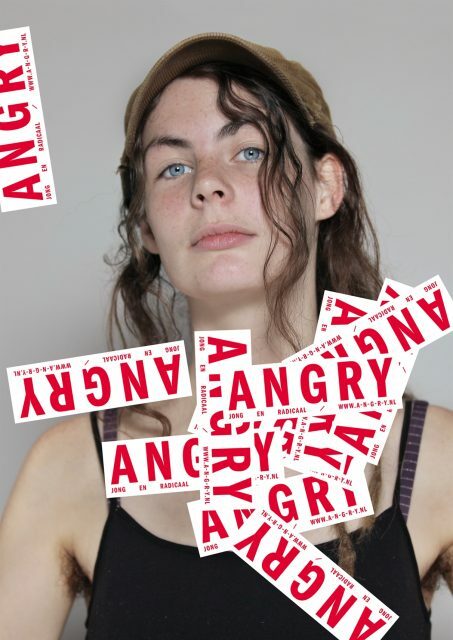 The central part of ANGRY is formed by ten video portraits of (former) Dutch radicals, differing in age from 19 to 67 – who raise essential questions on their motivations. 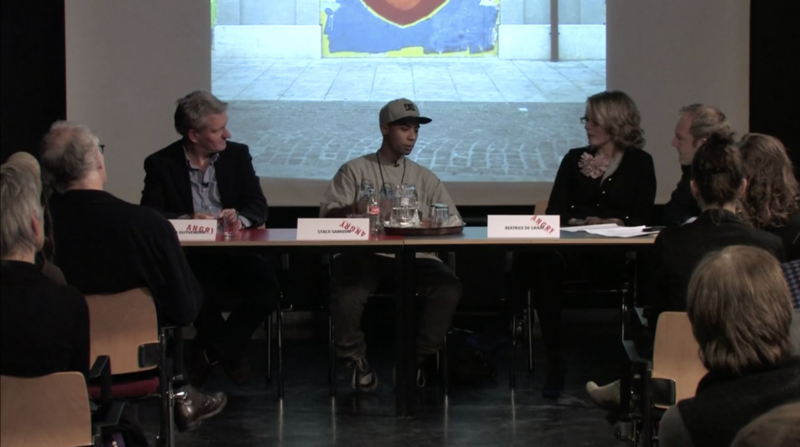 Workshops with young people resulted in video clips, a photo project, and graffiti. 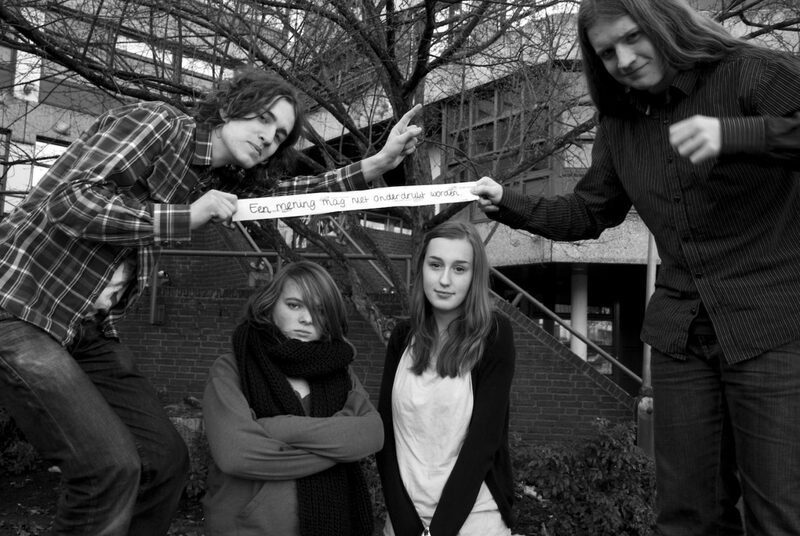 For the website, a game was developed “How radical are you?”, as a tool to trigger discussion amongst students as well as visitors. ANGRY shows that radicalism exists in all ages, and all cultures. Looking back on history, one notices that angry, protesting youths are often considered foolish utopians, but that their ideals frequently became the norm later on. This is why ANGRY is just as much an ode to being able to devote yourself uncompromisingly to a good cause as it is a mirror for those who have lost their youthful idealism. Because isn’t indifference more radical than engagement? Annete Behrens' works emerge from her fascination for the "Other" and for what deviates from the norm. The outsider is an important concept within her works. 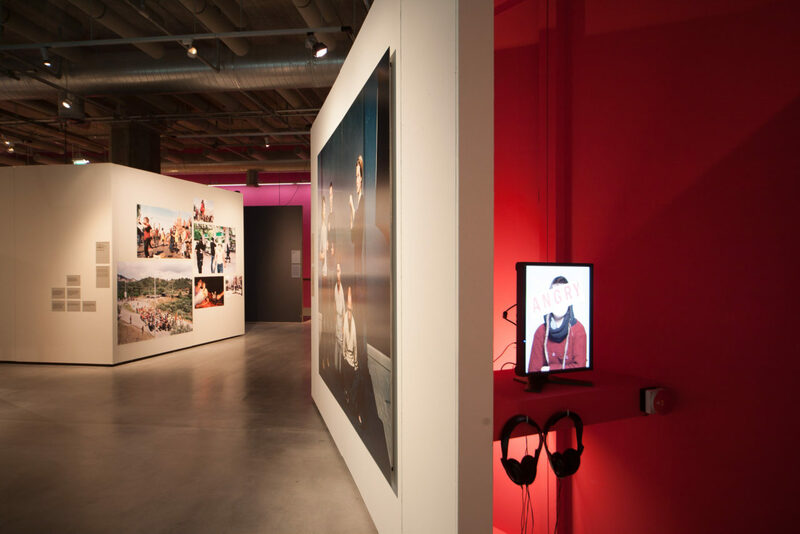 Through photography and video she looks at various, stereotypical groups and searches for groups with whom she can show our complicated, judgmental relationship towards the "Other". What do we see, how do we want to been seen and what do we hide on the inside? Can an image actually show the "Other"? Can a picture reach beyond a cliched representation? 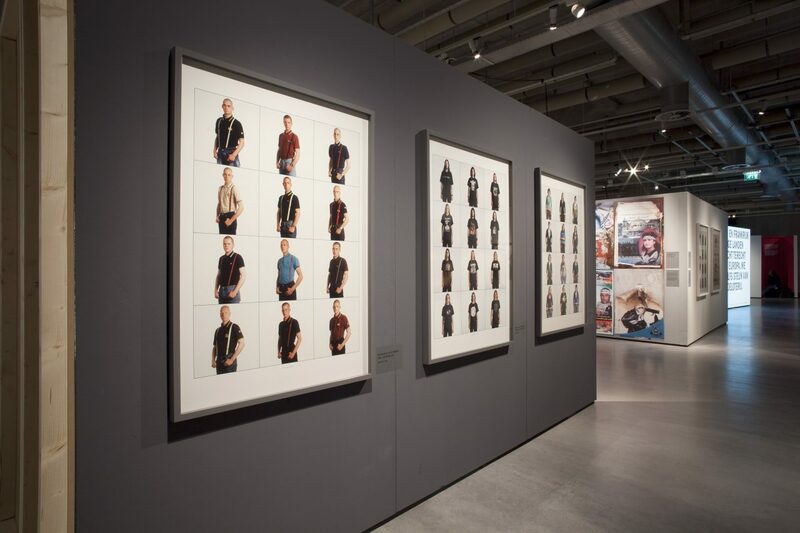 We arrange and categorize the world and the people around us in order to understand our chaotic surroundings. 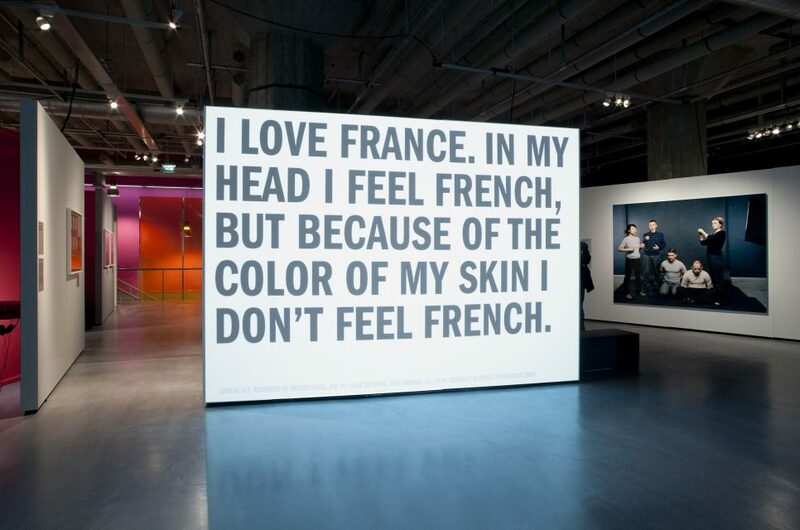 Due to Behrens' upbringing in Germany and the history of my country she's been conscious about where this in- and exclusion can lead for all her life. Nisrine Boukhari is a visual artist based in Vienna and one from the co-founder for AllArtNow the first contemporary art space in Syria. Boukhari’s artistic practice is marked by a nomadic complexity, both in terms of the factual situation of her native Syria and in terms of its own interests and implications. 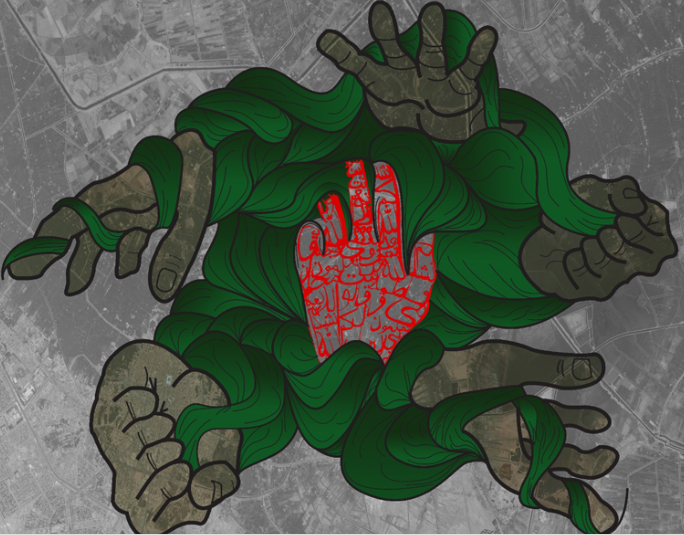 While working in Damascus, Boukhari investigated the «psychogeography» of the city, and after having to leave in 2012, her work has circled around questions of nomadism and belonging, and of how to deal with the loss of a city when the city seems to have lost itself. Mohamed Bourouissa (1978, Blida) lives and works in Paris. 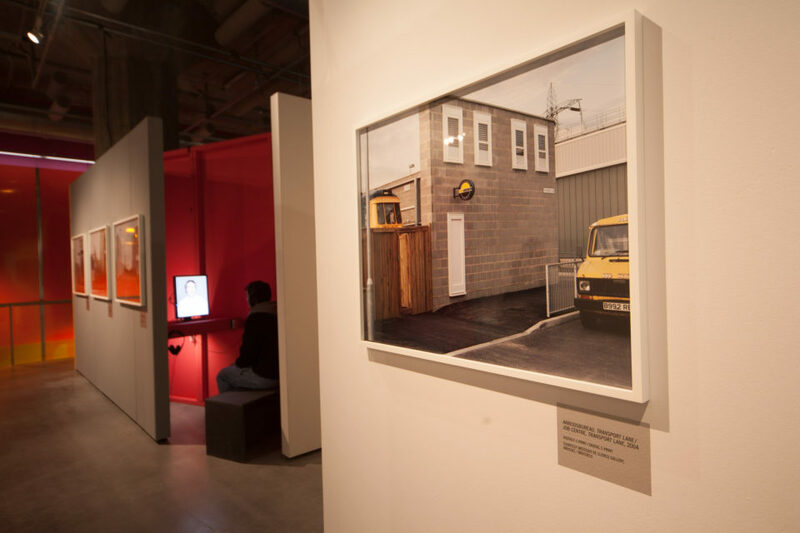 He is renowned for his dynamic, impactful colour photographs of youth, immigrants and everyday life in the Paris suburbs. 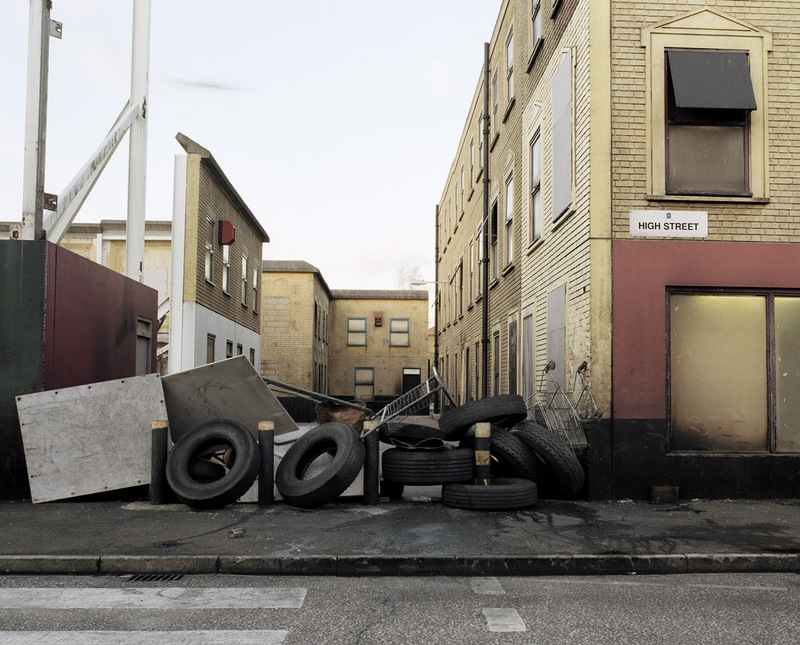 After graduating from the Ecole Nationale des Arts Décoratifs in Paris, Mohamed Bourouissa attracted the attention of the international art world with his series Périphérique, in which the artist registered the tensions and turbulence on the streets of Paris suburbs. Daya Cahen (NL/ USA) was born in Amsterdam, The Netherlands, where she studied photography at the Gerrit Rietveld Academy (2002-2006). She makes photographs, videos, video and audio installations and since recently small paintings. The mainthemes of her work are propaganda, indoctrination and the manipulation of mass media. Having two parents who survived WOII as jewish children, Daya Cahen grew up with the notion that the world can change on you in a day and you never know at which end of the line you will end up. A society can turn against any group of people. 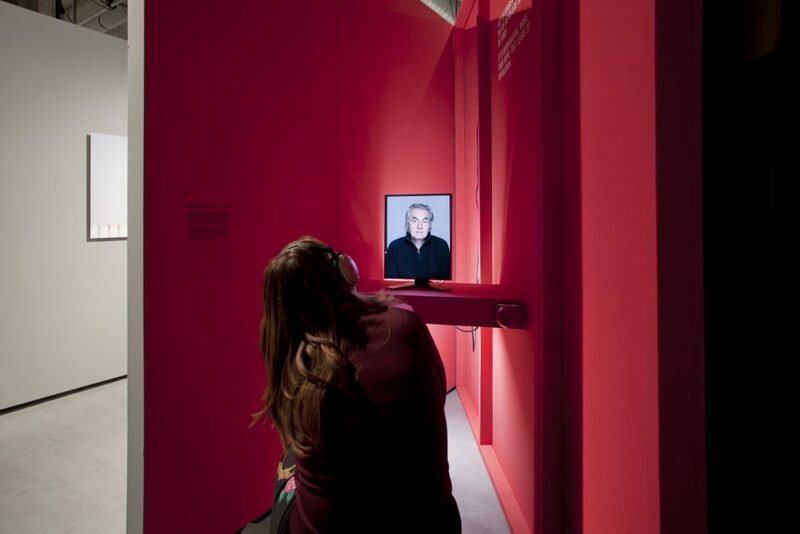 Investigating how these developments of indoctrination, radicalization and fear of otherness can arise within society as well as the mass psychology that goes with it, form the starting point for all of Cahen’s work. 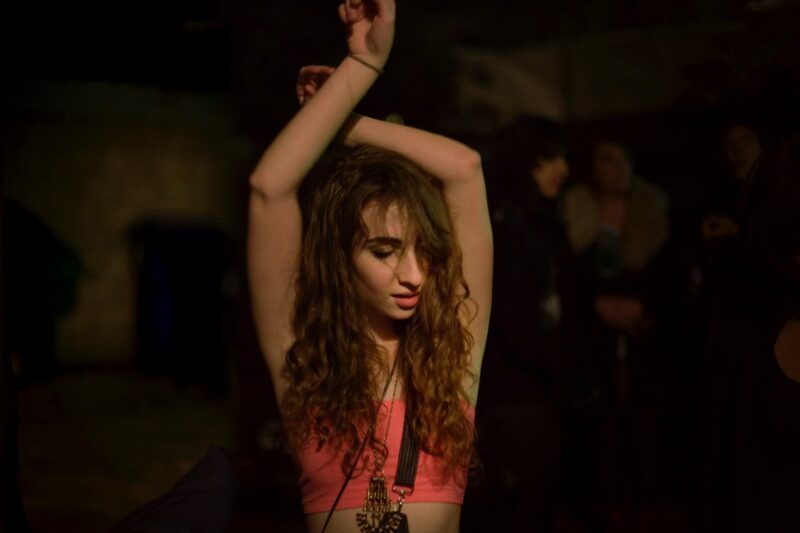 The role of the individual within the masses plays an important part in her work. 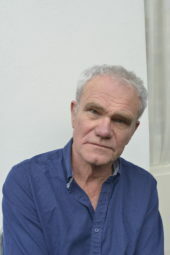 Yvon Chabrowski lives in Berlin and Leipzig. 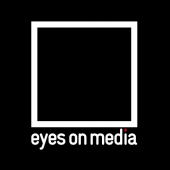 She separates media images that seem known and at the same time unfamiliar from their context and re-enact them. 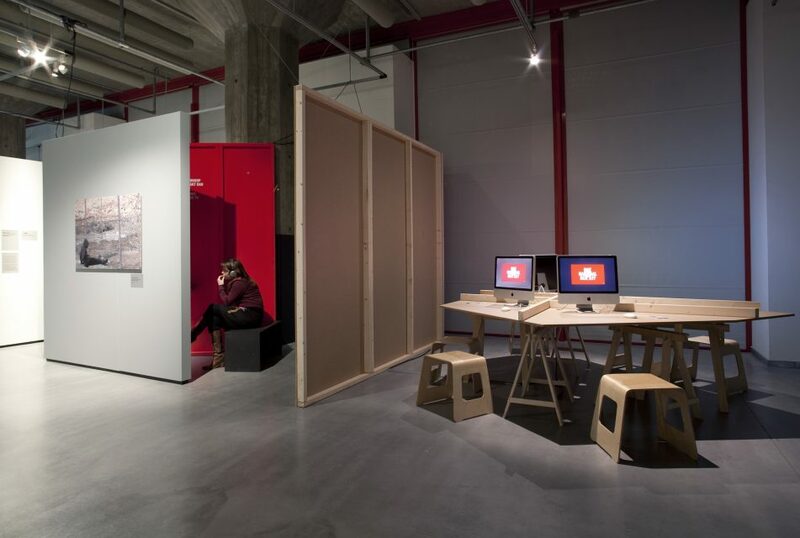 She takes characters and scenes from the internet, newspapers or television and deconstructs them. After this process of analysis, she re-enacts them in a reduced form. The question in all of Chabrowski's work is: How much context needs a picture? How far can you take it out of context and yet still assign its origin? And how can it be experienced in a whole new and different way as something alien in the familiar? 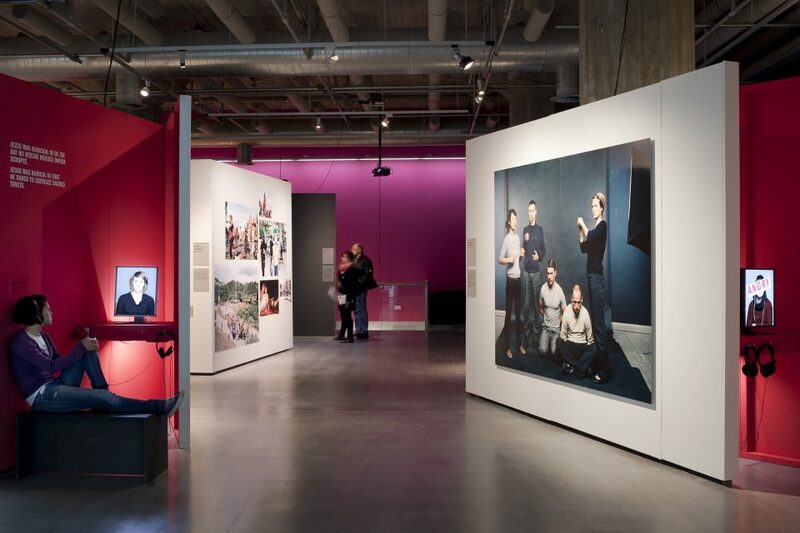 Monica Nouwens (1964) completed a postgraduate fellowship at the Rijksacademie in Amsterdam and ultimately attended the California Institute of the Arts exchange programme for film and photography, where she developed a fascination with California's urban landscapes. 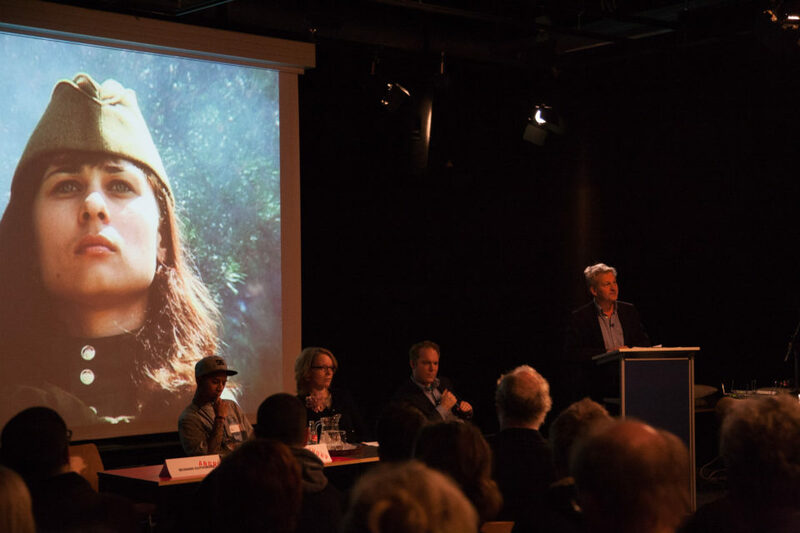 Nouwens' work can be found in various collections worldwide. Amongst them are Stedelijk Museum in Amsterdam, Levi's in London and Prada U.S.A. Corp in New York. Nouwens is a lecturer at the Southern California Institute of Architecture. 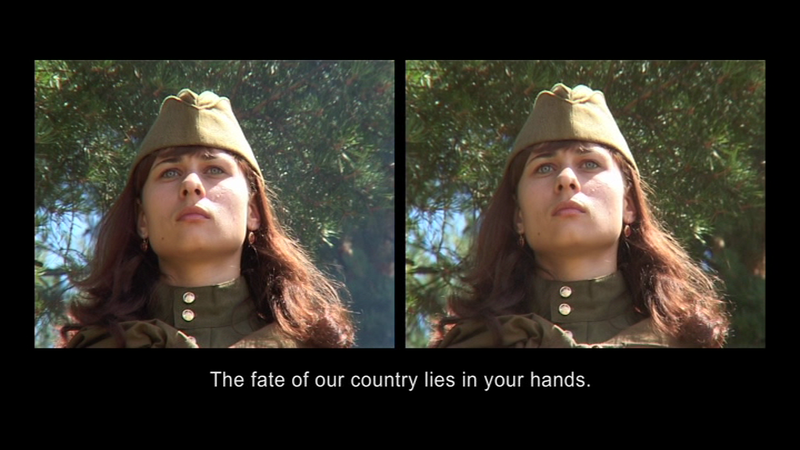 Still from the video Nashi ("Ours"), 2008. 10,000 girls and boys being prepared during the Nashi summer camp, the nationalistic youth movement supported by president Vladimir Putin. 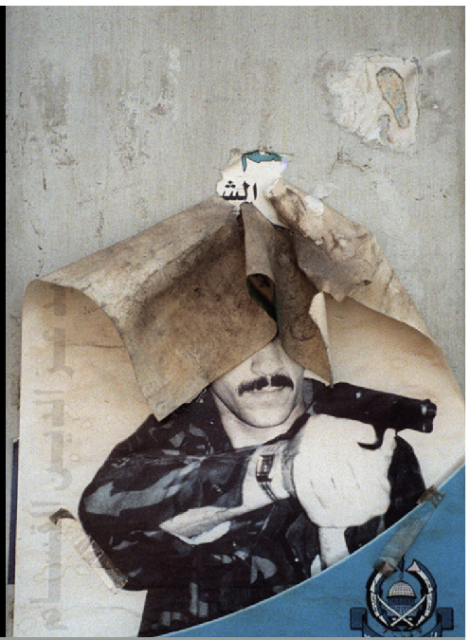 Until Paradise (2002-2003), a photo series showing posters on the walls of the Gaza Strip which commemorate young Palestinian martyrs. Waiting for the Demonstration at the wrong time (2003-2007), C-prints. 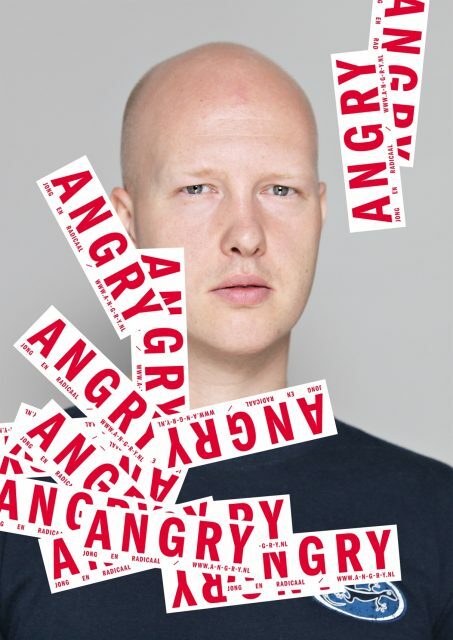 Two young men want to record one of the many protests against the EU top in Copenhagen. High Street Barricade from the series Public Order (2003-2005). 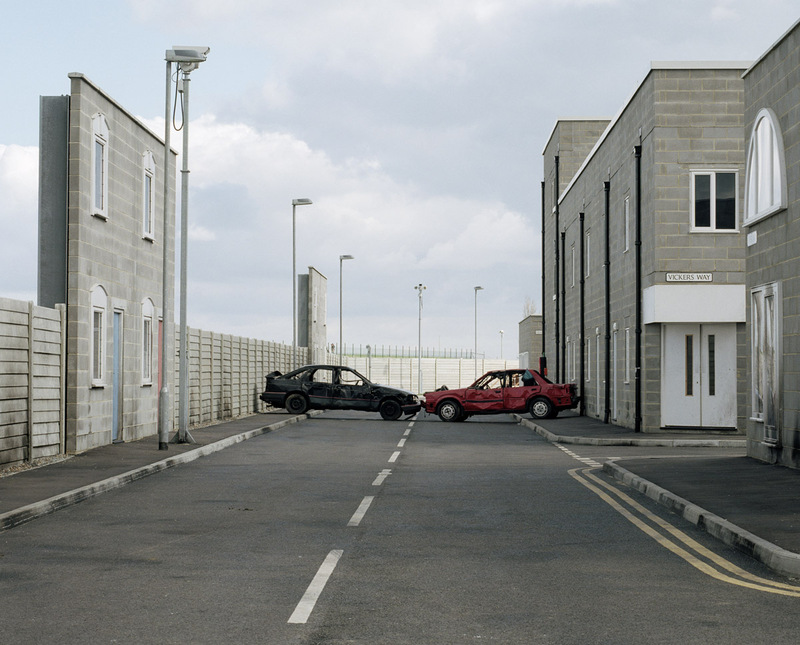 In this photo series, Sarah Pickering documented a model city which is used by the English police. Road Block River Way from the series Public Order (2003-2005). In this photo series, Sarah Pickering documented a model city which is used by the English police. 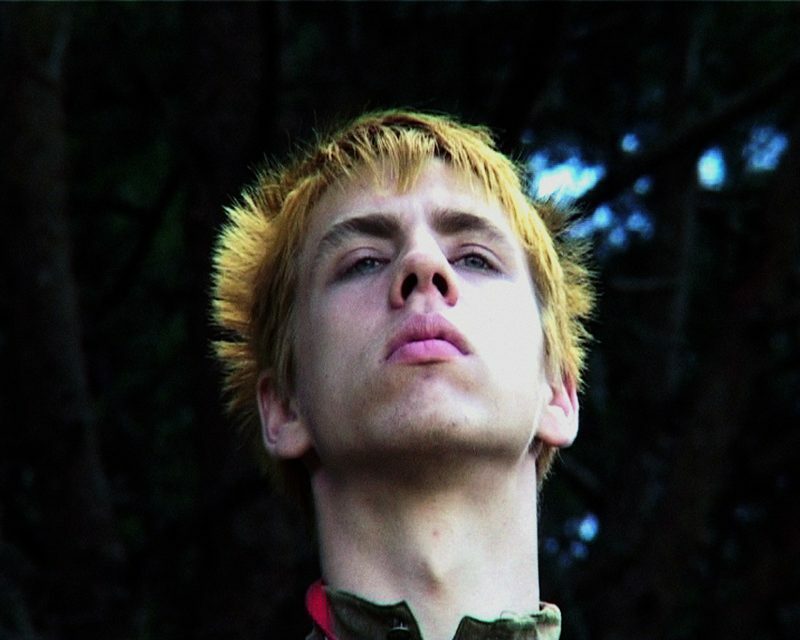 Still from the video Glutinosity (2001). In Glutinosity we see a group of people: in uniforms and activists. Their interaction is theatrical yet ambiguous - who is fighting who? 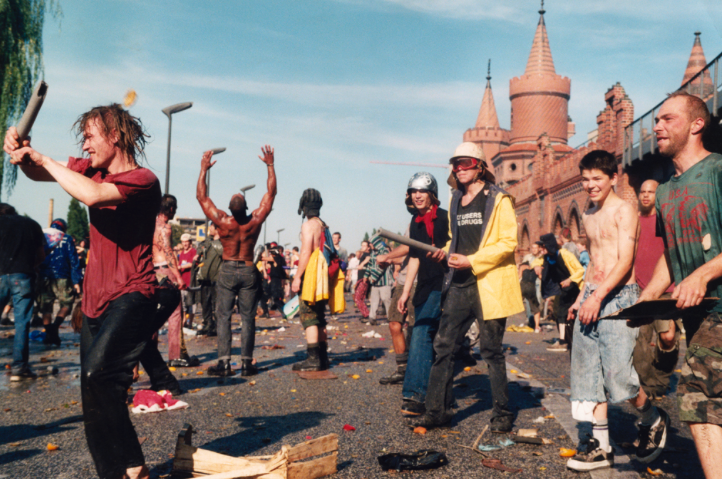 Fruit and vegetable fight between Friedrichshain and Kreuzberg, Berlin (1999). From the series: The Summits and Love and Destruction. DeAnne, from the series Look at me and tell me if you have known me before (2010). 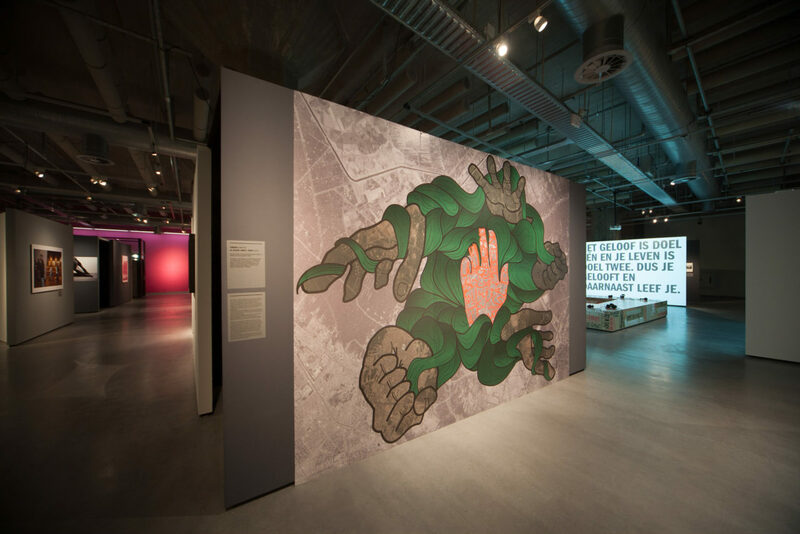 Nouwens portrayed the subcultures in L.A.
Mural from Yumosh (TR), based on the Battle of Karbala which took place in 684, Iraq. 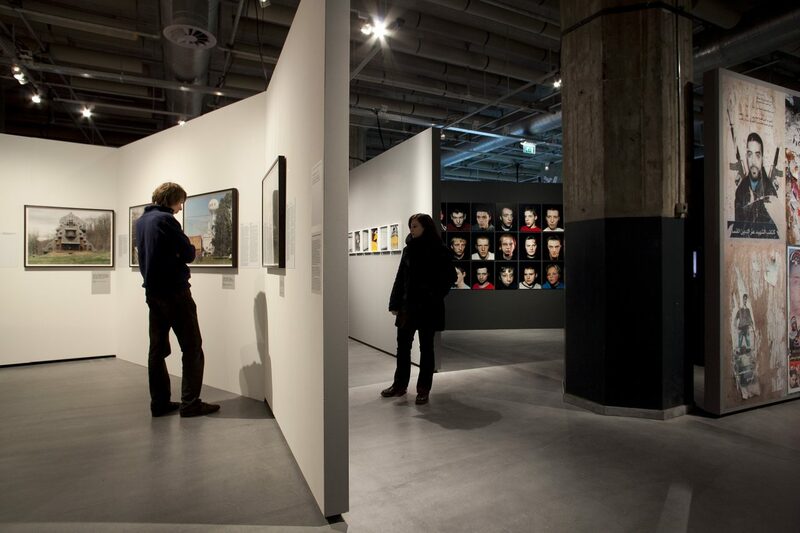 From 22.01.2011 until 13.06.2011, the exhibition ANGRY was presented at Nederlands Fotomuseum in Rotterdam. 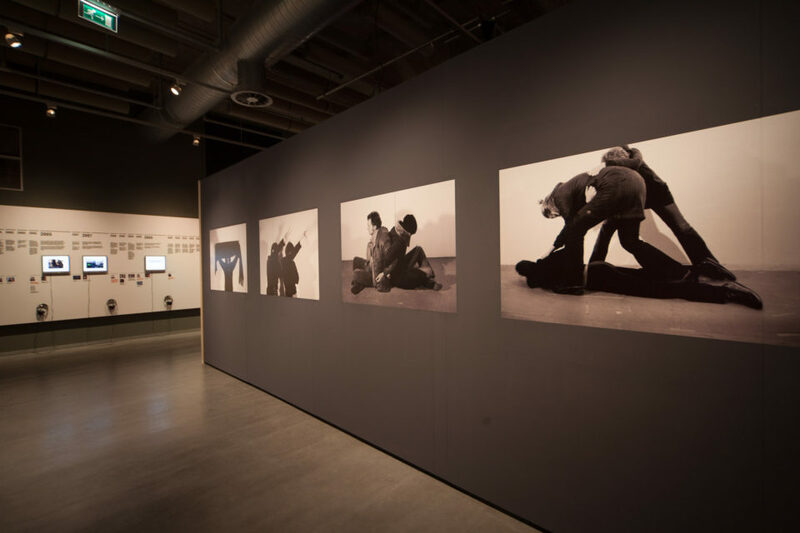 In the exhibition, works by international photographers, filmmakers and visual artists are dealing with the issues of violence, aggression, resistance and the image of the (younger) radical. They approach radicalisation as a complex process linked closely to that of identity formation. 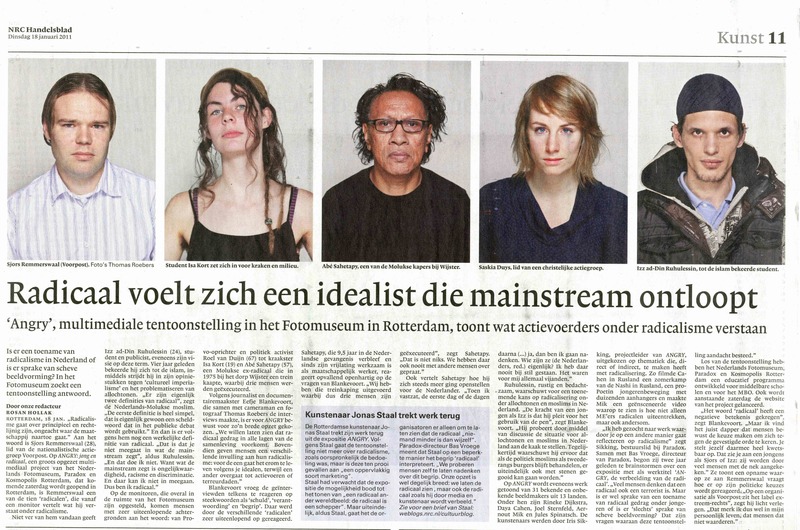 All works were confronted with 10 video statements of (ex-) radicals. 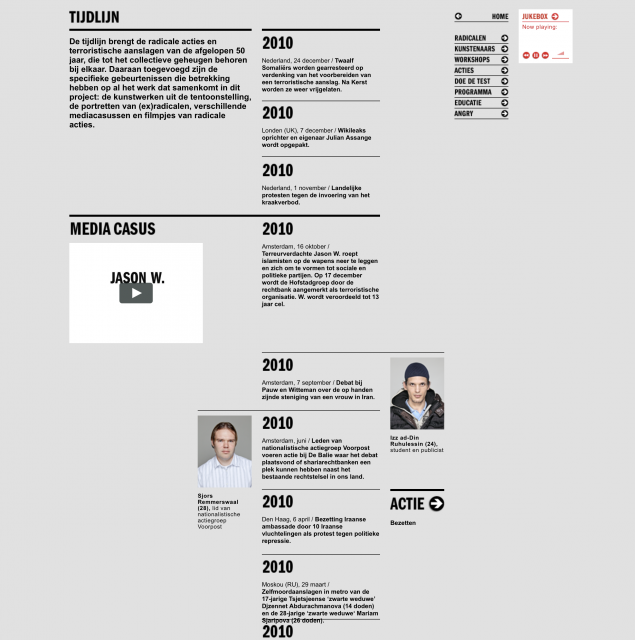 A multimedial historical timeline showed all radical actions and terroristic attacks over the past 50 years. 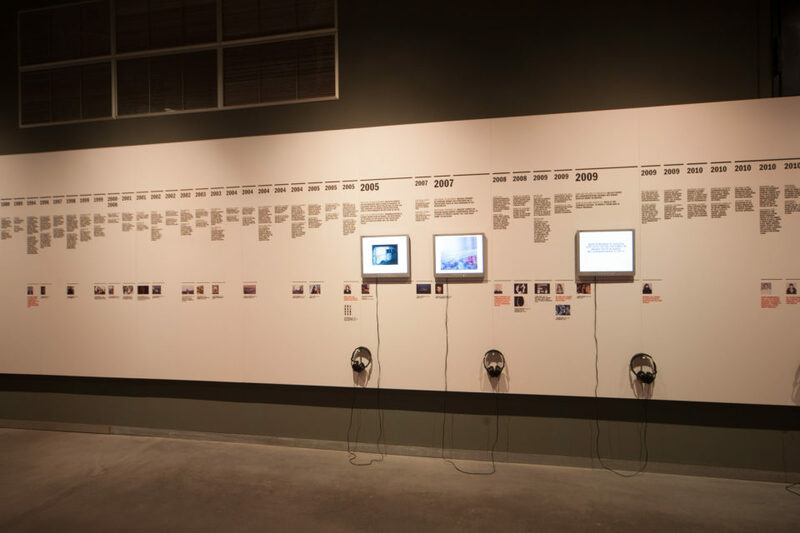 In the centre, visitors could listen to 200 pop songs related to the theme via headphones. 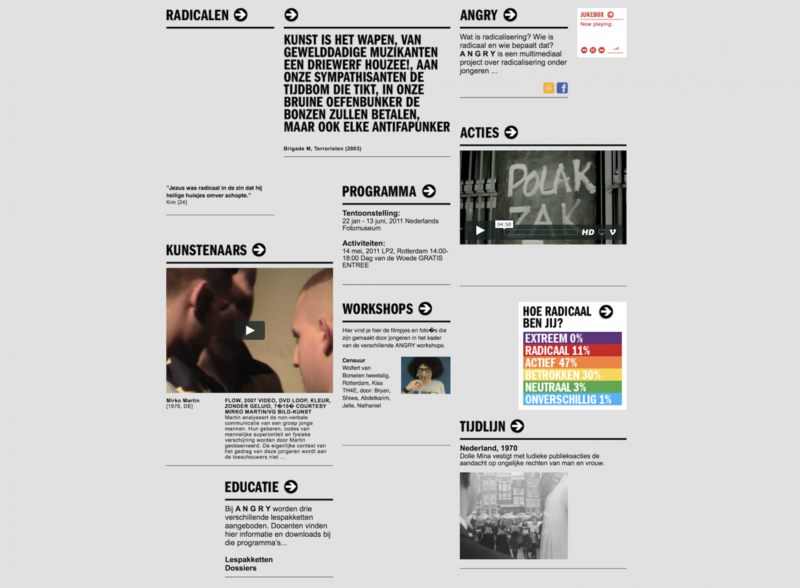 Homepage ANGRY, with articles, workshops, videos and the educational program. Timeline which shows radical actions and terroristic attacks over the past 50 years. The website shows a variety of demonstrations, such as 'taart gooien' (throwing pies). 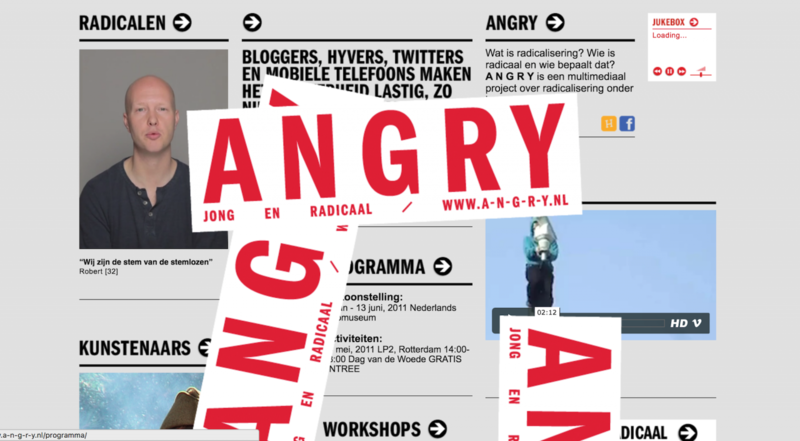 ANGRY is also an interactive website, on which visitors can watch mini-documentaries on rebels, discover the history of radicalism or to take an angry test themselves. 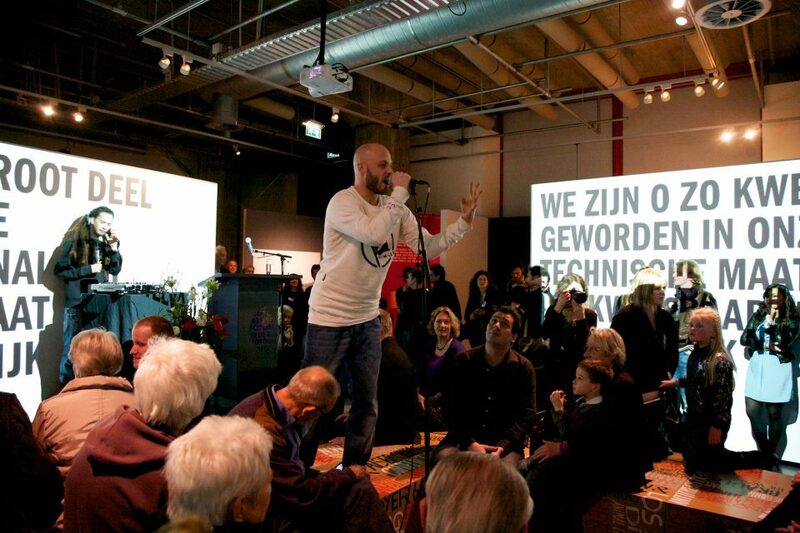 At the opening of the exhibition a debate on radicalisation and anger was organised, with Wijnand Duyvendak (ex climate activist), Beatrice de Graaf (researcher terrorism) and Stacii Samidin (photographer) and moderated by Pieter van Os (editor NRC Handelsblad). 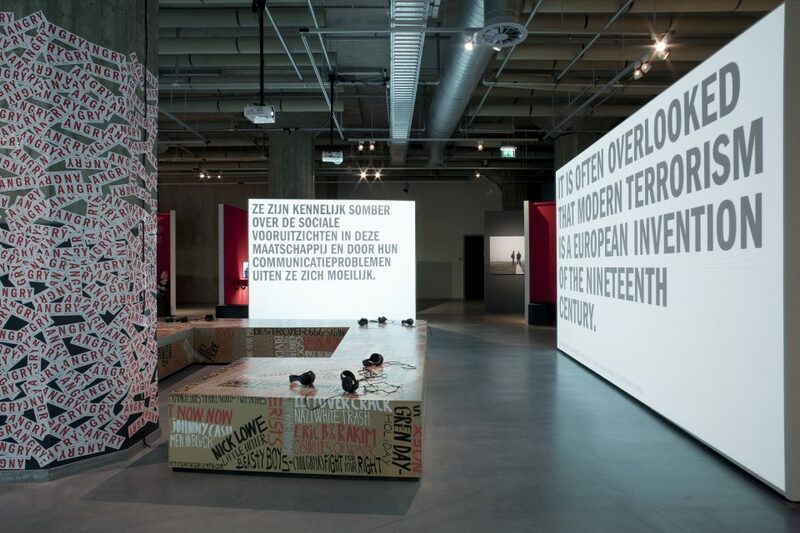 During the exhibition, ANGRY education packages (in Dutch only) were developed. 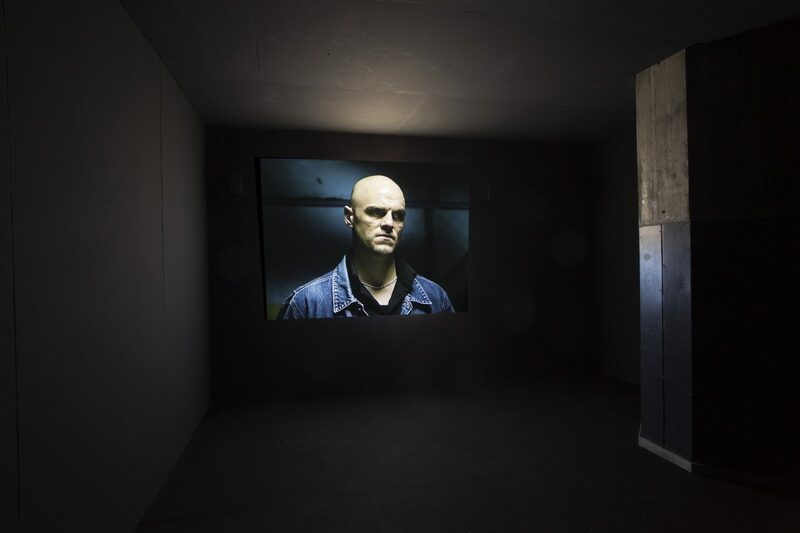 The material focused on the themes of ‘radicalism’ and ‘image’. The concept of radicalism was viewed against a historical and social background. 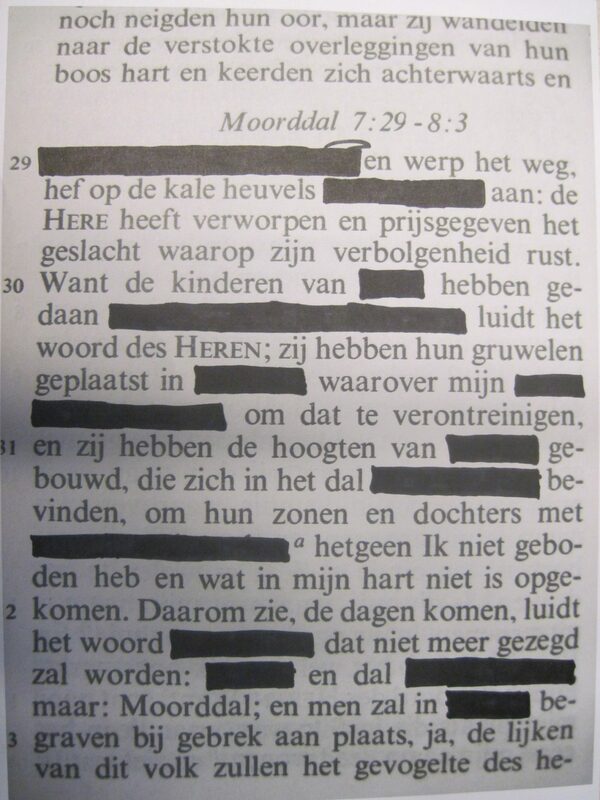 Students were challenged to imagine the motives of the radical. 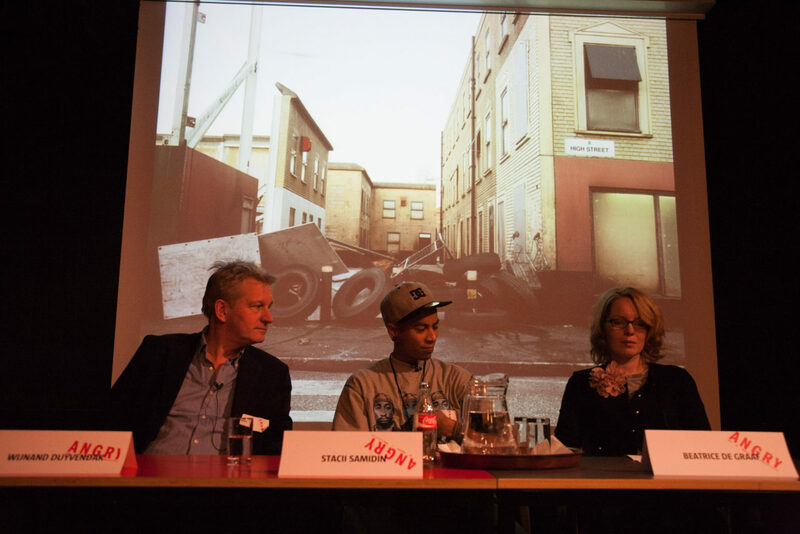 Paradox developed Radicaal in Beeld for higher secondary education, Kosmopolis Rotterdam composed a classproject together for lower secondary education with guest teacher Mohammed Cheppih. 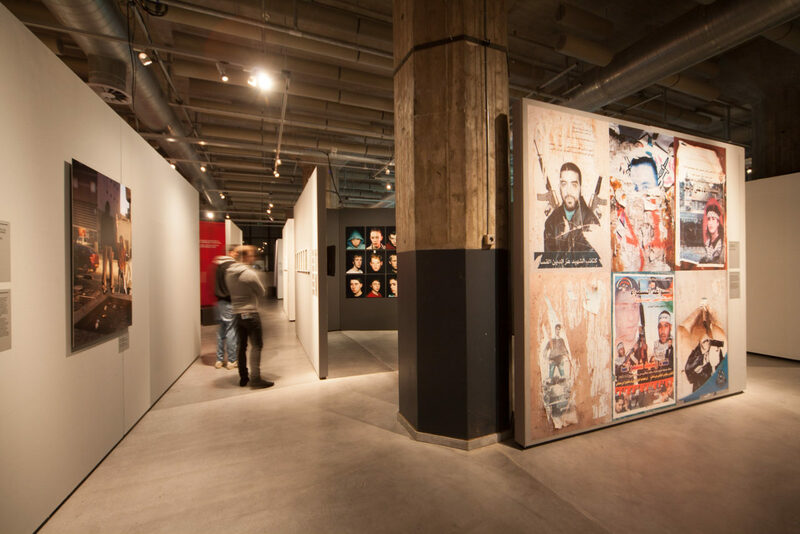 During the exhibition period, schools can attend the Workshop Beeldtaal and interactive tours for all levels at the Nederlands Fotomuseum. 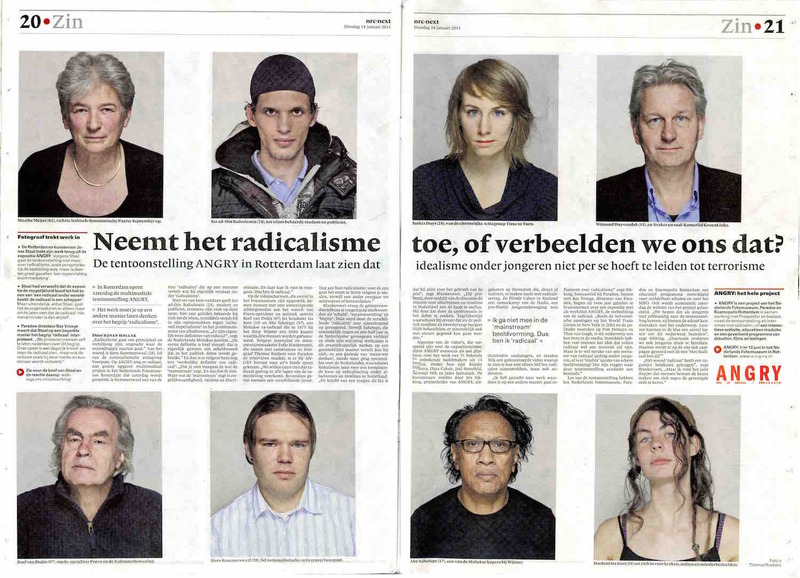 Neemt het radicalisme toe, of verbeelden we ons dat? 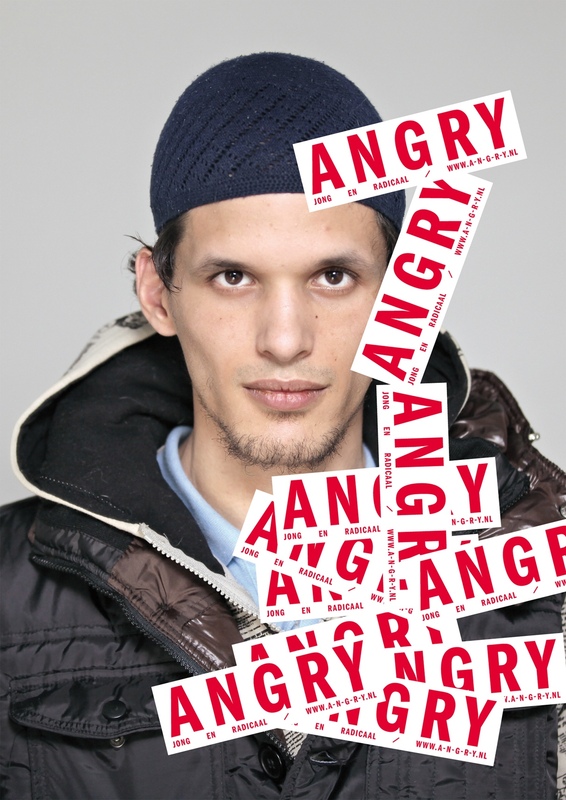 Is radicalism increasing, or is it just us? 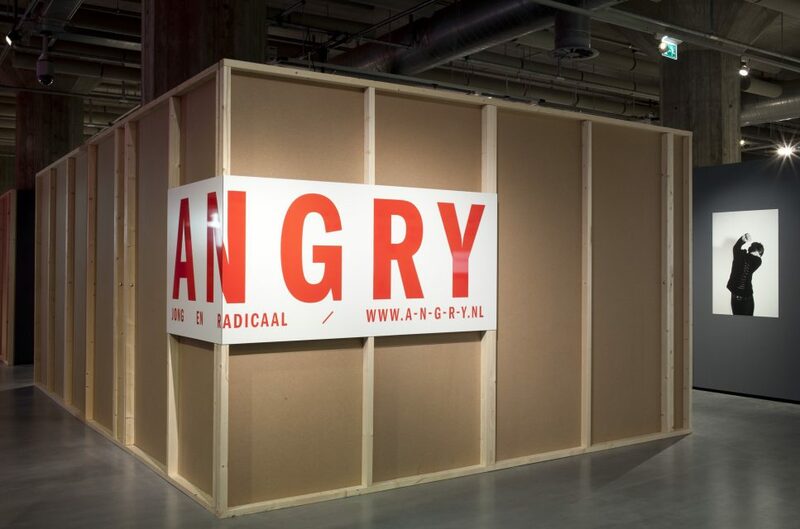 ANGRY is a production of Paradox, Prospektor (research journalists), Nederlands Fotomuseum Rotterdam (exhibition venue), Kosmopolis Rotterdam (platform intercultural dialogue).